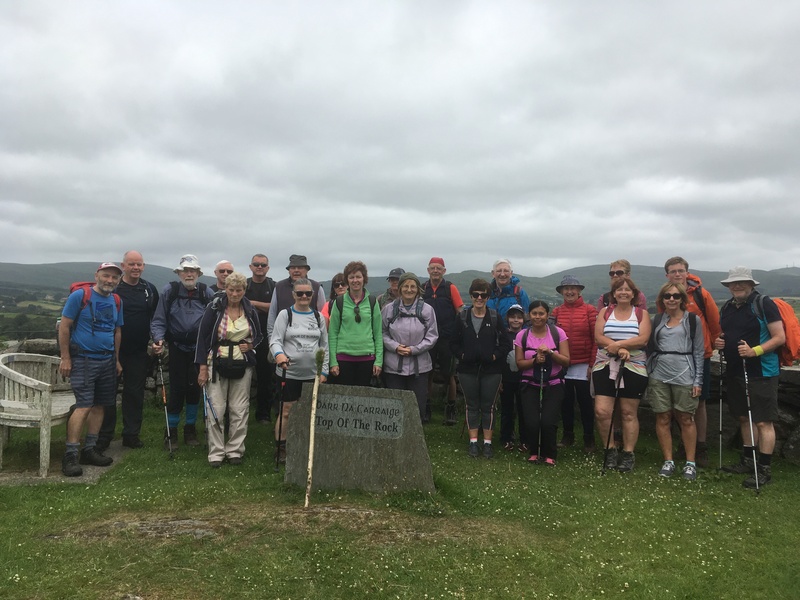 Another great day out yesterday for CMC members on Saint Finbarrs Way Pilgrim Route walk from Drimoleague to Kealkill….Well almost! We started with refreshments at Top of the Rock Pod facility hosted by the Ross family and were even serenaded by a visiting American singing group…… We then started our walk initially along riverside tracks, then along track and road and up Mullaghmesha (494 ft) before descending again to track and road leading to Kealkill completing 18 km before getting our minibus back to the pods after 6pm. Thanks to our leader , Leonard Godsil, for organising this event in such a lovely scenic and well maintained route…..